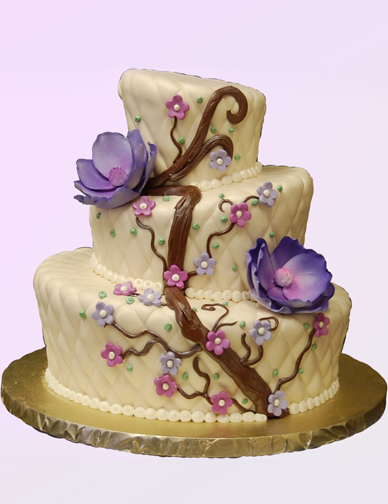 When it comes to cake, each venue has the ability to offer a variety of serving options to please all different taste buds and styles. Here are some of the options that we at the Baking Institute know are available to most of our clients and recommend you to speak to your venue about. With this option, your cake will be served as the final course in a sit-down meal to all the guests. If you have only 2-3 courses total, most locations will require you to cut your cake following the grand entrance so that they have time to bring it into the back, cut, plate, and serve. Keep in mind that your guests will not see the cutting process. However, if you prefer not to cut your cake immediately, we recommend a few different options. 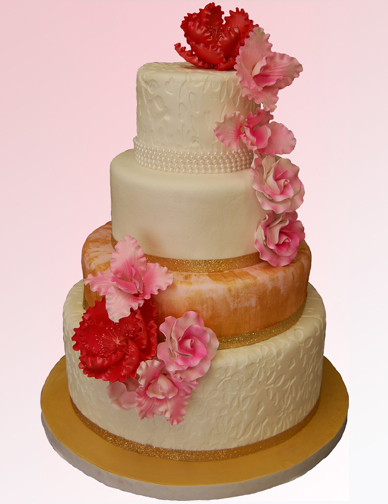 A) Purchase additional sheet cakes so that the wedding cake is “extra cake” or is not for the full guest count, and therefor will take less time to cut. B) Prolong your dinner by adding more courses or adding dancing between courses, allowing you to cut the cake after the 2nd, or even 3rd, course. This option is similar to Option 1, where you may be required to cut your cake earlier in the evening. However, the difference here is that instead of the same flavor for all guests, you are offering your guests a choice. In order to offer a choice, The Baking Institute recommends ordering about 20-30% more of each flavor cake than expected guest count, and only sticking to two flavors total. Then, talk to your venue about having the servers ask each guest which they would like – for example – chocolate or vanilla? Keep in mind that if you do not arrange this with your venue in advance, servers may simply hand out cake without asking flavor preferences. The same situation goes for not ordering over guest count; this could cause one flavor to run out more quickly than another and only a portion of the guests actually getting a choice. With this option, your guests are immediately guaranteed variety and choices. We recommend you choose about 3 different cake options and set them out about 30 min to 1 hour after dinner, on a sweet table along with some coffee and tea. Your guests would already have had time to digest their dinner and, after some dancing, are bound to be more hungry for a dessert break. However, keep in mind that some guests do leave early, so serving the cake “buffet style” may cause some guests to not get cake at all. We also recommend speaking to your venue about some possible to-go boxes, as we have found that there is more uneaten, but already cut, cake at the end of the night when using this serving method. Not everyone prefers cake as their sweet of choice. Some prefer a variety of pastries, tortes, or cookies to take the place of cakes. We always invite our clients to ask us about our many different alternative options, or additional options. You can order a sweet table in lieu of a wedding cake, or better yet, in addition to one! 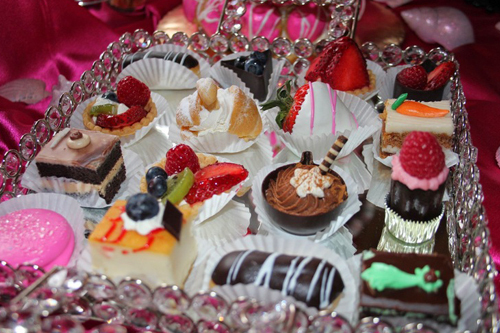 Especially with Option 3, it is always nice to expend the dessert table with some of our fine pastry selections. Or, if you are not a cake person at all, consider serving your guests cupcakes and ordering a smaller cutting cake for yourself! Whatever option you choose, let it represent you as a person and the event that you planned for your guests. And remember, no matter what serving style you choose, your guests will always be happy with any of our delicious Baking Institute products!